​Want an updated look for your home's interior? Does the exterior need a refresh? South-East Painting and Protective Coatings prides itself on attention to detail giving homeowners a beautiful finish and adding value to your home. 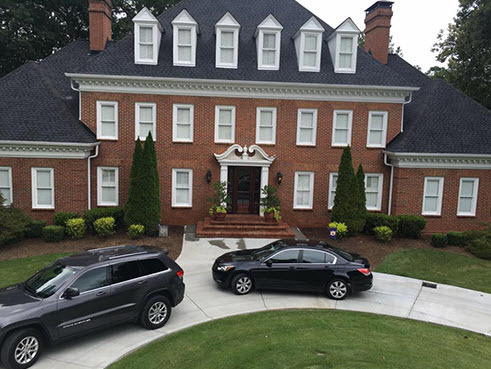 Our thorough prep work and quality Sherwin Williams products enable us to apply an expert paint application that immediately shows in the clean lines and depth of paint color. 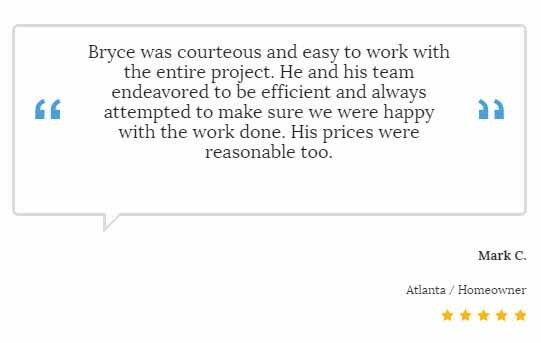 Our repeat clients are a testament to our quality painting services. Not only have we worked on residential properties in Dunwoody but we also do work for the Dunwoody Preservation Trust and the Donald Bannister Farm as contractor for the maintenance and management of the property. We are proud to be part of the Dunwoody community and proud to be part of the preservation of historic treasures. 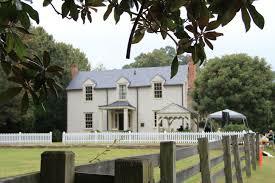 Learn more about the mission of the Dunwoody Preservation Trust on their website. Take a look at our recent projects and give us a call today for painting professionals who make your home and business look good. Your paint project is our focus. We work on the project until it is completed and do not send our team to work on other projects. South-East Painting prides itself on thorough prep work prior to the start of a paint project to protect your home and give the clean lines and quality finish you want. Our estimate includes a pricing section that separates each element of a room: walls, ceilings, trim and doors. Pricing transparency lets the customer choose any or all elements for painting. We can complete most renovations for you so you don't have to hire additional contractors for drywall repairs, weatherproofing or other repair project. We include pressure washing with our exterior paint service. We'll visit your home for the Paint Consultation and include a detailed estimate which offers paint options, finishes and repairs. Your satisfaction is guaranteed. We'll review the project with you after completion and ensure you are 100% satisfied before you pay us. Our Paint Consultation will provide suggestions for repairs that maybe part of a paint project or help in Weatherproofing your home. We'll offer tips to get the most out of the painting project as we want to be your paint consultant. Give us a call today. Time to restore your home's exterior paint? Depending on the quality of paint and age of the home, your home may need new exterior paint if you're starting to see fading of the color, paint chipping or cracks. Give us a call for an inspection of your home. We'll be able to let you know the most popular colors in your neighborhood, review the exterior for any needed repairs and assess the Weatherproofing of your home. While the color of paint makes our homes more pleasing, the purpose of exterior paint is to provide a barrier between the outdoor elements and the structure of your home. Our humid climate takes its toll on the paint so maintaining a durable layer of protection will add many years to the life of your home's exterior elements. We use Sherwin Williams highly durable exterior paints which offers a range of paint life expectancy so you can choose the caliber of protection for your home. Paint life expectancy of these top quality paints ranges from 5 to 17 years so you have many options when you decide to move forward with an exterior paint project with us. All of Sherwin Williams' exterior paints provide a tight seal that protects your home and provides a durable, beautiful finish. You'd be amazed how a new color of paint can give a completely different look to your home. We can advise you of the most popular color choices in your neighborhood and we also have a Color Expert who can guide you on matching or contrasting existing colors or choosing the newest in home design trends. Adding new exterior paint not only adds protection to your investment but adds value to your home. The updated look can make it more appealing to buyers and knowing new paint is protecting your home adds value to the purchase price. Give us a call when you want a paint professional to review your home to advise on Weatherproofing and beautifying your home.